Bacon Blue Cheese Stuffed Mushrooms with Mornay Sauce! One of the hands-down best appetizers to order at Grandma's Restaurant is their Stuffed Wild Rice Mushrooms. When our 2013 Appetizer Contest winner Alejandra A. suggested Bacon and Blue Cheese Stuffed Mushrooms, I knew we had an amazing opportunity at hand. 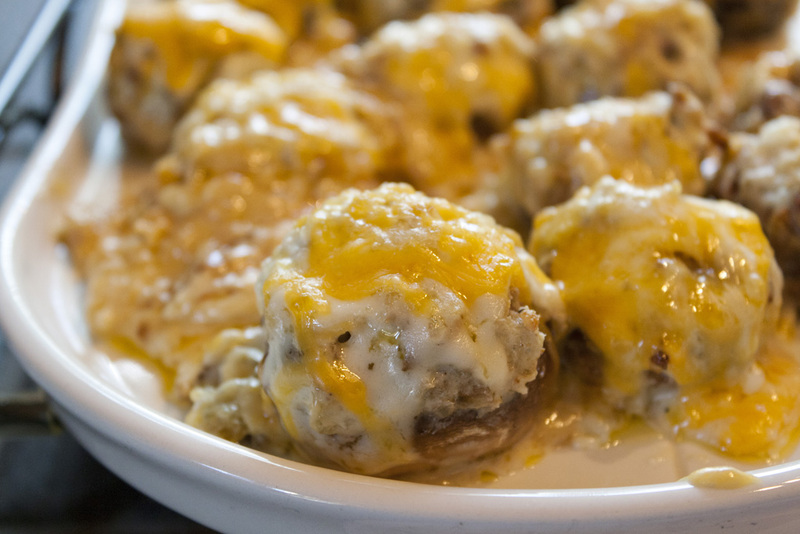 Combine her recipe for stuffed mushrooms with Grandma's Restaurant's idea for a cheesy Mornay sauce over the top. Read more about Bacon Blue Cheese Stuffed Mushrooms with Mornay Sauce!